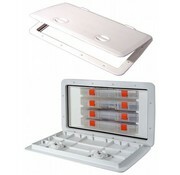 Tackle hatch met Lure box van de Plano 3700 serie. 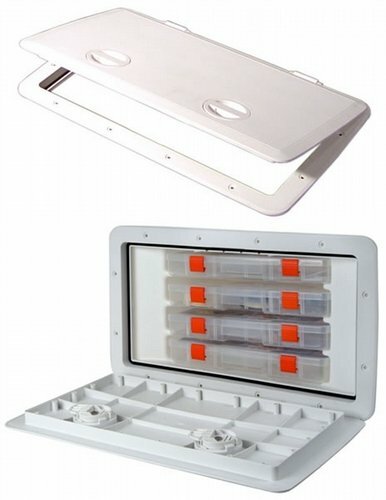 Tempress has just expanded its line of built in tackle centers. 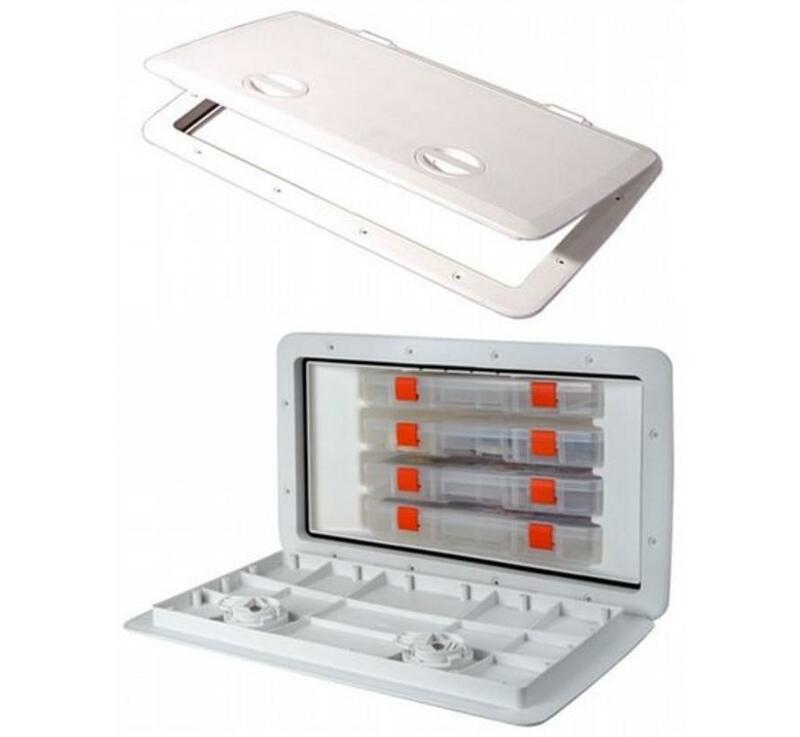 The 13x23 size Tackle hatch uses Plano® 3700 boxes, and can be mounted both horizontally and vertically. Since we pair this with our line of proven Access Hatches, these tackle centers are strong enough to be walked on, and are available in a variety of colors. 1323 Depth = 10 1/2"